Watford Workshop Sponsored Walk on 28 August was a great success, with all available Workshop members taking part, as well as a vibrant team from local estate agents Imagine and other supporters. 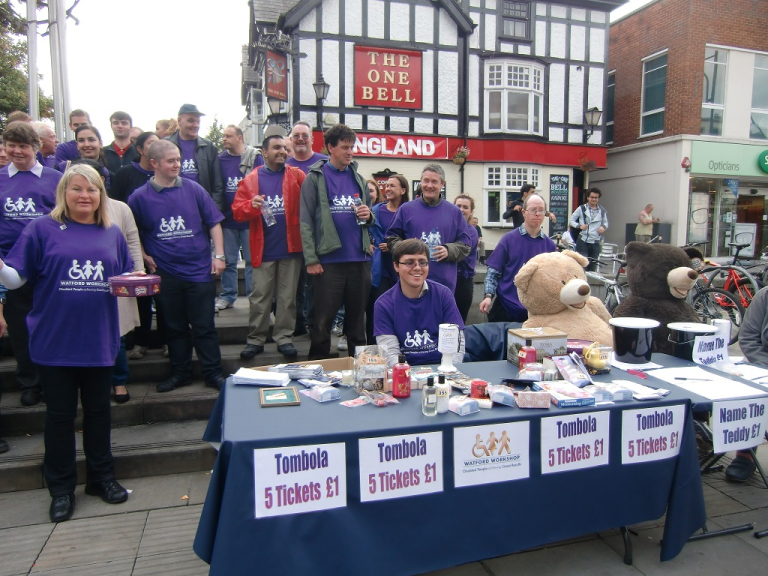 We set up a stall in the Town Centre - in front of THE OLD BELL - making a lot of noise and creating awareness for the Workshop, selling tombola tickets and having fun with our 'Name the bears' competition. The 'boy' bear was named Timothy and won by Michael. Still waiting to hear what the 'girl' teddy was called (I am pretty sure my attempt to have called Annick failed), and still counting the money raised on the day.